Since I had problems leading to more maps, I decided to make plans for maps to assist in tactical planning process. Serve mainly in leading beginners like me who do not know well where the room is what often causes the loss of the team. A precise floorplan is indeed very helpful when planning an assault. But in real life the team doesn't have such an exact blueprint for every deployment. I think one should play every round as it would be the first time on this map. You should pretend that you don't know the map as far as possible. So if the briefing lacks of a good floorplan, the team has to handle it. The maps in the game really should be changed. Maybe we can swap out the maps for the upcoming mod.Keller should take note of the link. 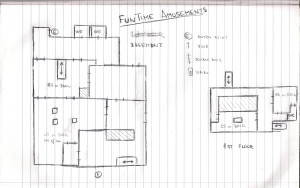 In RL most tactical swat team or the SAS will have detailed building plans of the house. Only in real emergencys (hostage killing) they will enter a house without details. Then training kick in and they will do there basic tactical drill. How do they get this plans? Imagine the scenario from Fairfax or DrugLab. How do you get detailed layout plans of a private building? Afaik the swat teams drive by in a civil car or use helicopters to scout the outside area and all possible entry points and windows. But I guess they are pretty often kinda blind concerning the precise inside layout. Administrative offices mostly have plans of buildings given. Well... In some cases in SWAT it seems to be emergency, for example when criminals are likely to leave their location again and you got to pin them down now! What they did good in SWAT is that for example they got the basic shape of the building, but who the heck knows how it looks like when drug dealers or those Tarone fellows live their for years and change the actual shape of the building... ? One thing I have to critizise. In Ravenshield you can open the "map" and check the layout. As far as I know especially special forces will learn the map, at least what they know about the layout so they know what they are facing next... So if my character learnt the map I can check "his mind" and look what's coming next. I liked that idea at least in Ravenshield. Yes, they set up the Immediate and Deliberate Action plans. As with any assault, the military and law enforcement over. How do you get a detailed layout? In the game? No idea. 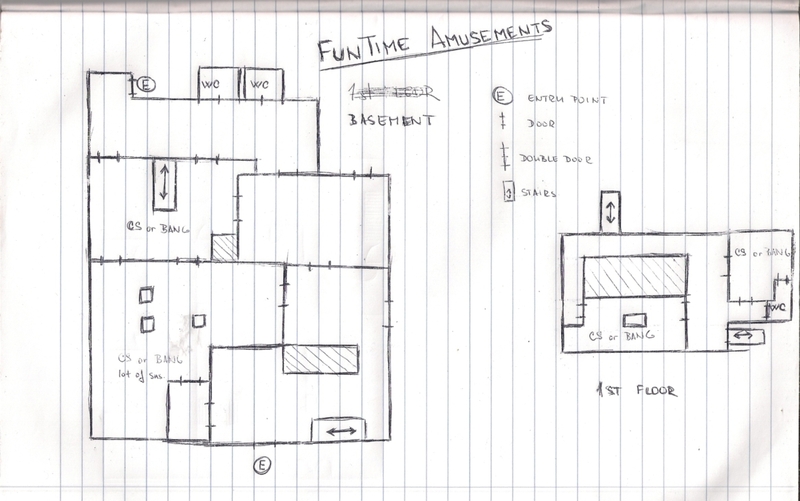 If it wasn't a game then Exterior Structure Analysis, Tactical Diagramming, Floorplans and Blueprints. The civil car you talk of is called a drive-by recon. The helicopter would be a fly-by. They are for different applications. Topography is different to what's directly infront of you. Look at the doors, materials, walls, windows. Glass? Double-glazed? How many panes? Will a flashbang break it? Do I need to barrel strike? Can I vault it? Do I need a ladder? Can my partner become a body ladder? If you pre-analyse these types of things then it all comes in a good time on the job. That's why you train, insane! You have to learn your basics inside out too. Adapting to inter-connecting rooms, how to communicate it then proceed dynamically. Where do they feed too? Right feed room, progressively move right until you either 1) Find an interconnecting room, or 2) Find a dead-end. Multiple interconnecting rooms. Team Lead/Hall Boss gives direction, you follow it and adapt. Tick-off the knowns. Ok, I've cleared this area, that area, this room, that closet. Do I need to secondary clear? Mental ticklist. Is there an unknown area? This is where it gets tricky, but not TOO tricky. You can do it on the job. I know the room layout, I know the building layout, where does it lead to? What direction does this area go to? Left, right. OK, what's left or right on the topography, on the room layouts. Underground or still on ground floor? OK, does it connect with other buildings, how do we isolate this? How big is it? How many do we need to clear it? Slow approach or dynamic fast pace? "How do you get detailed layout plans of a private building?" And good job on the drawings/diagram. There are things to improve on, as with all assault plans. The IA plan is re-looked at every 30 minutes and normally changed. You have tacticians hovering over it like hungry dogs.